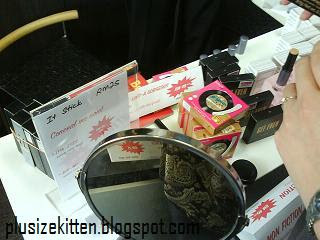 Plus Size Kitten: Benefit Warehouse Sales Back Again! The Sales is BACK! blog being updated, stay tune for pics and price list! BTW SOME PRODUCTS PRICE SLASH FROM LAST SALES! BUT ONE PRODUCT INCREASE PRICE FROM LAST SALES! I only heard about this sales from a shopaholic babe a.k.a dee yesterday & was suprised that Benefit is having another warehouse sales at their office in Pusat Bandar Damansara (u know where help college, immigration is?). Dee went this morning to check for me & I was on my way there already when she said YEAP sales is on & told me some of the items and it's price. HEY if u like the previous sale, u'll luv d'price slash in this one! Depending on what products you're aiming for, I'll say the price slash would benefit u this time around. In my opinion, I think they're trying to clear what's left from that October sales hence the cut. HOWEVER, they have smarten up and increase the price for a particular must have in this sale. I will leave u guessing and if u haven't guess it at all, scroll to the end of this post & you'll find out what it is. PLEASE make sure u check all your items before paying. I've learned never to trust warehouse sale items. Reason being, I bought a few products from this sale and they're mostly in a bad condition already. Some items are even defective in their packaging e.g playsticks unable to twist back to position. The BAD GAL Lash Mascara in Blue, it's dry. I have Bad Gal in black so I knew the texture isn't the same. Thank God the person-in-charge is so kind! he changed it for me when I brough my product back. Unfortunately I've tested 2 mascaras and still the same problem so the kind person say I could replace with something else. PLEASE NOTE! I don't think they'll do this again to every complaint. SO I DO HOPE U CHECK YOUR ITEMS before buying. The guessing game: "What went up?" 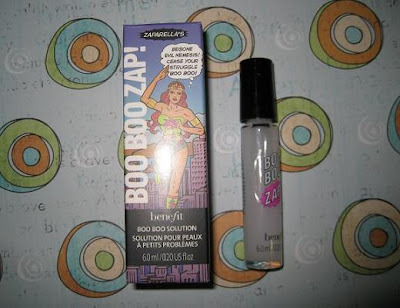 Boo Boo Zap, EyeCon, Do it Daily gone. "Warehouse Sales can be your friend or your worst enemy"
don't think i am gonig back there again T_T try sns the girls can help? miu got blusher or not? or only the items u post above? no sorry :( i dun see any blusher.. or maybe if i missed it, u can check the product n price list i wrote down from the sale. It's all written down when I was there this morning. where is the place? i just found out abt the sale....is the sale worth going? 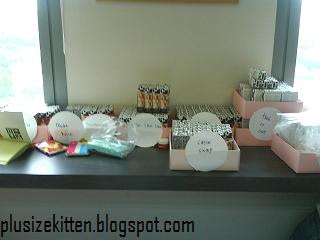 Are u at Benefit sales today??? 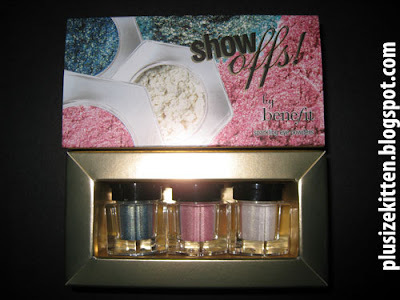 Miu i plan of going tomorrow at 9 , do you think they would have the shimmering powder left ? Do you think there would still be a sufficient amount of items left ? hey miu, will u be going for the CD sales? yea they're trying to clear what's left from their previous sales, and since the price slash, i would say it's worth going if u want to grab some benefit loot. Shimmering powder fluuf no more since yesterday morning. It gone in a hour or so after opening. CD sales I drop by n check it out if i finish my work. However today is just for tenants, and tomorrow is for public. I wanted to have the brush set frm CD if they have. Perhaps u can let me knw if u r there. Its quite far for me to go. Im in Tmn Mayang, pj. Roughly how much do u guess? 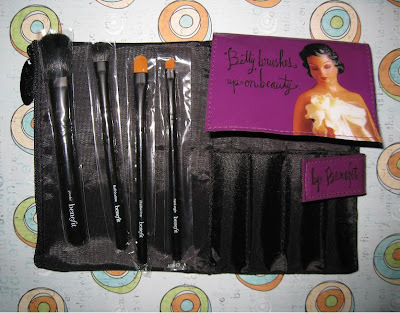 for CD Slaes, Hw mch do u think the brush set if they have? i spoke to cd sales person yesterday who was incharge of the brush n limited edition palletes. She say all is same price as last sales. I really not sure if what she says would change today? i have yet to go there.. i got lotsa work today sob sob. i cant afford. sill looking for so many sales coming. i like to c ur benefits thingy. cheeky design and pics too. wheer do u dtay and work anyway? u sounds like closer to damansara.. 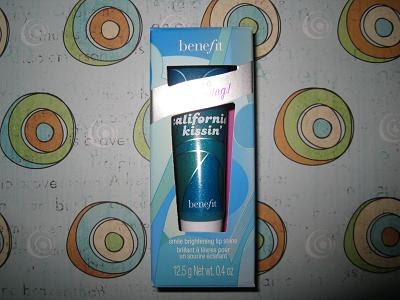 I think CD's quite cheap already unless u wan to buy Benefit's lip range. Usually all around rm25-30 for lipsticks in warehouse sales. shopaholix: sorry i didn't read ur comment before i went! :( already balik from there..
joce: yea i went to cd :D did u? annoynomous: anna sui? urm end of year or jan :( they alwiz have it. It's a small section with Branded perfumes being sold. I called it anna sui bcoz.. haha..that's the only way to distinguish this sale from others. 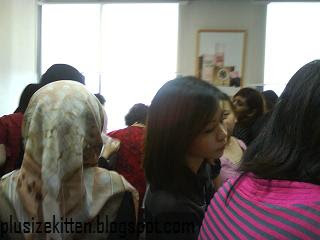 hye...when this event will be held again.....im seriusly interested..
gosh i missed the benefit warehse! miu pls email me when u know these cosmetics will be sold for cheaper price! Cool blog! I missed out on both sales! 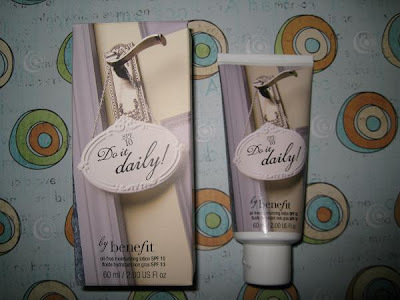 I love Benefit! i subscribe to sns now so hope to be able to go to the next one. any idea when the next one will be? would really appreciate if you could email me if u have any idea!